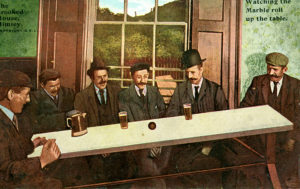 The British are rather fond of a traditional pub. While other cultures will congregate in bars, cafés and diners, we are world-renowned for preferring old, family-friendly establishments serving real ales and hearty food. Ideally speaking, our pubs will be several centuries old, decked out with wooden beams and open fires, and blessed with fanciful names such as The Cat & Custard Pot Inn and The Swan with Two Necks (found in Kent and Newcastle-under-Lyme, respectively). Nothing will stop us from enjoying such a place. Nothing, it would seem, including said pub being slowly collapsing around us. 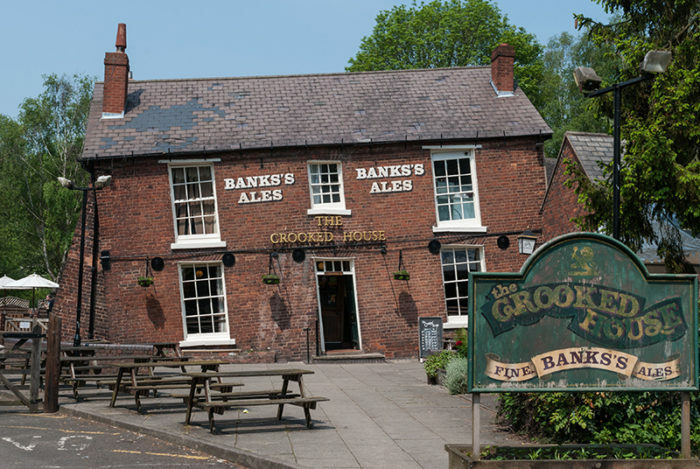 For that is precisely what has been happening at The Crooked House, an 18th-century pub just few miles west of the West Midlands town of Dudley. Stand outside and you can’t fail to spot that the left-hand side of the pub is around four feet lower than the right side. Marbles roll down seemingly level tables here, while right angles are a scarce commodity – the sash windows are all 16 degrees off centre, more than double the lean of the Tower of Pisa. Quite how The Crooked House gained its distinctive posture reveals much about the wider local history. As part of a wider area known as the Black Country, Dudley was one of the early centres of the Industrial Revolution, thanks to a wealth of coal, limestone and iron ore, all of which were mined heavily. Engineering works and factories sprang up, making everything from nails and chains to the anchor used on the ill-fated RMS Titanic. While such industry benefitted the local economy, it was precisely that immense Victorian-era desire to utilise the country’s natural resources lead to the slow downfall of The Crooked House. Built in 1765 as a farmhouse, it was opened as licensed premises 65 years later. Local mining had already caused minor subsidence so the pub was initially known as The Siden House (‘siden’ being a Black Country word for ‘crooked’), before it was renamed The Glynne Arms, after Sir Stephen Glynne, the brother-in-law of Prime Minister William Gladstone and owner of the land on which the pub stood. By the 1940s, the subsidence was such that the building was set for demolition until the Wolverhampton and Dudley Breweries stepped in. Seeing potential in the unusual setting, they reinforced the structure with girders and stone buttresses. Today, Wolverhampton and Dudley Breweries is part of Marston’s, which operates the pub and also brews its own Tilted Tipple, a 3.6 per cent English pale ale. And while thousands visit for the novelty factor, it is the warm welcome, 42-cover restaurant and excellent beers that keep the locals coming back.